Carrying electronic accessories on your bike is one thing – protecting them from the weather is another story. 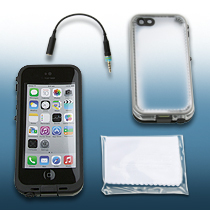 That story starts with ZTechnik® Accessory Mount Cases. Choose from water-resistant vinyl cases for GPS/smart phones, or everything-resistant LifeProof® cases for the latest model smart phones. ZTechnik offers a wide variety of Accessory Mounts to allow riders to bring along almost any electronic device. Some Accessory Mounts are specific to a particular model while others offer a more universal and adaptive fitment. The best way to find the Accessory Mount for your BMW® motorcycle is to use the SHOP main menu option to select your specific year and model bike. Then decide what electronic device you want to mount to your motorcycle and choose the Accessory Mount Adapter for that device. 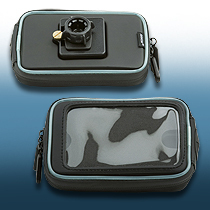 Finally, an easy way to keep your GPS or smart phone secure and dry on your motorcycle! Until now, it was almost impossible to keep your device safe yet clearly visible and within easy reach. Multiple foam inserts adapt to devices of varying thickness. LifeProof cases give you the freedom to make your iPhone® or Galaxy® your constant companion – on your motorcycle or anywhere else! 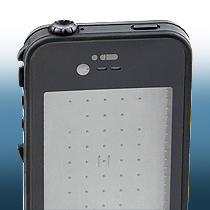 It has a full IP-68 rating against water and dust, and is designed to military specifications. The UltraFlat scratch resistant screen protector assures multitouch functionality. 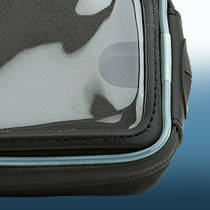 The clear front cover allows you to use the touchscreen and to easily see the screen. 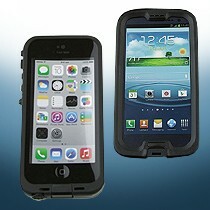 Holds any GPS, smart phone or other device up to 3.4". x 5.3" x 1.7". Water resistant entry point for power and other cables. Optical glass anti-reflective lens maintains high quality images, while waterproof acoustic vents keeps the sound real. A gold-plated general use headphone adapter is included. Water Proof – Dirt Proof – Snow Proof – Shock Proof. All hardware included. Models available for both 3rd and 4th Generation ZTechnik® Accessory Mounts. Tough polycarbonate and shock absorbing elastomer. Includes cleaning cloth, headphone adaptor, and headphone jack cover keeper.